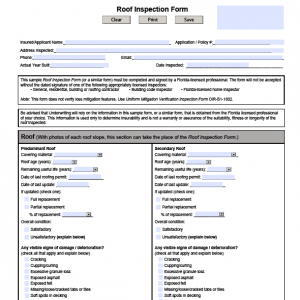 Dynamic Interactive Fillable PDF Forms: 2018 Versions of 4 Point Inspection Form, Wind Mitigation Form and Roof Inspection Form. XFA-PDF technology. Add as many Photos and Note Fields as you need. Easy and Fast. Windows PC and MAC Computers. Check out Demo Video here! 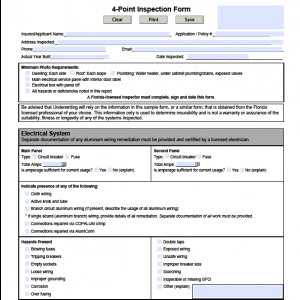 Are you looking for the latest 4 Point Inspection Form in a dynamically interactive version? These are the latest forms as of May 9, 2018. All our forms utilize XFA-PDF technology as developed by Adobe. They all work with Windows PC and MAC Computers. The Dynamic Extended User Rights of all these forms allow you to add as many photos and note sections as you need. The dropdown menus in the forms and at each of the photos allow you to quickly select from the menu items or create custom information as you require. 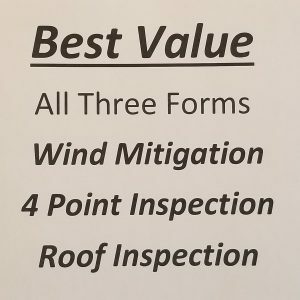 These forms were created at the direction of an experienced and active Home Inspector/Licensed General Contractor so you can be assured that a great deal of thought went into every aspect of the forms. 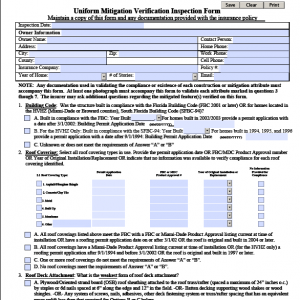 The objective was to create forms that are quick and easy to fill out. Check out the demo videos below to see how easily they work.